Preheat waffle griddle one notch below medium heat. Add wet ingredients and mix until just combined. Add 1/2 cup of batter to waffle griddle and cook until golden brown. Repeat for second waffle. 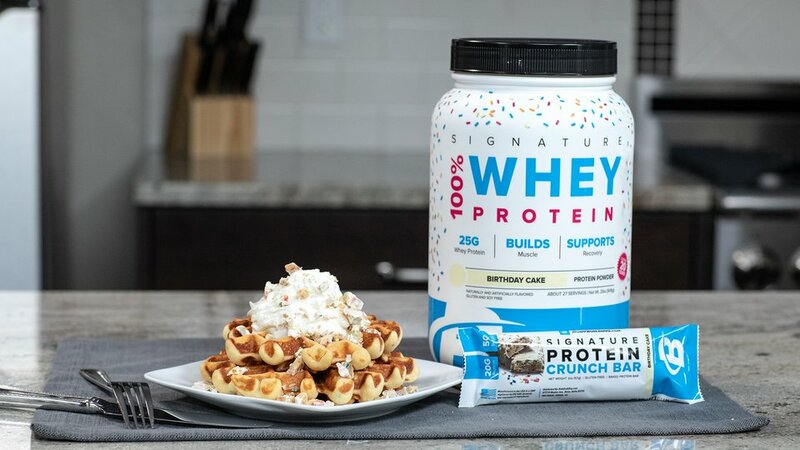 Serve with toppings of your choice, such as whipped topping and sprinkles, fresh fruit and syrup, or chopped Signature Birthday Cake Protein Crunch Bar.